MAZAR-E-SHARIF -- After Taliban and "Islamic State of Iraq and Syria" (ISIS) fighters unleashed a killing spree against civilians in a remote village of Sar-e-Pul Province at the weekend, the insurgents took hundreds of residents hostage. The Taliban released 235 hostages late Tuesday after elders and provincial officials struck a deal with the group, but others are still feared held, traumatised families said Wednesday (August 9) after their release. The militants killed about 50 villagers, including women and children, in Mirzawalang -- a mainly Shia village in Sayad District of Sar-e-Pul Province -- on August 5 after overrunning a government-backed militia, officials said. Survivors fleeing the violence described nightmarish scenes, detailing how the militants went from house to house, shooting villagers. "When the fighting began, the villagers tried to flee, but they were stopped by ISIS fighters," Ali Dad Zafari, a Mirzawalang resident, told AFP. "They took a group of men, women and children behind a hill and shot them." "Since my mother was too old to walk, she was left behind; I don't even know what has happened to her," he said. Another villager, Yasin Abuzar, said ISIS and Taliban fighters cut off the main roads to the area before launching the killing spree. "I could rescue only my kids. When they entered our village they opened fire at everyone indiscriminately," he said, adding that hundreds remain missing. "They didn't even spare women or children." "I buried 10 bodies in one grave. We don't want the government to give us coffins; we want it to provide us security," he said. Local officials called for more aid as hundreds of displaced arrived in the provincial capital. 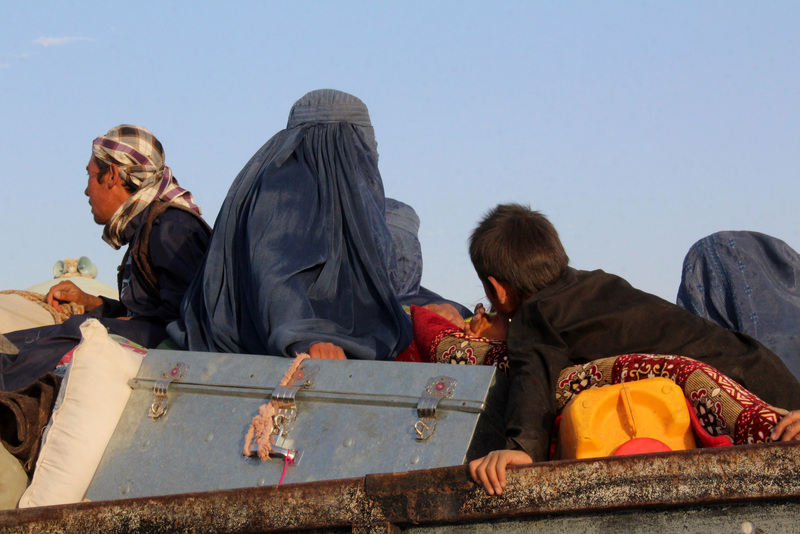 "The families who have come to Sar-e-Pul city need shelters and food," Zabiullah Amani, a provincial spokesman, told AFP. "They are living in the mosques and schools. Some are with their relatives; some are even on the streets." "If aid agencies don't help, we will face a humanitarian crisis," he said. The villagers said most of those killed were Shia and Hazaras who were either shot or beheaded. 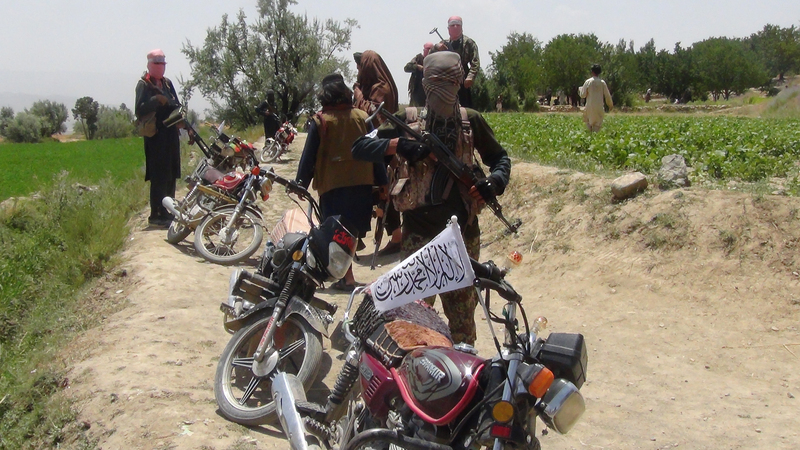 The Taliban confirmed capturing Mirzawalang but said they did so alone. They denied allegations of killing civilians. Afghan forces launched an operation Wednesday to retake the district, said army spokesman Nasratullah Jamshidi. "We will avenge the blood of our innocent people," provincial Governor Mohammad Zahir Wahdat told reporters. "Commando forces have been deployed to the area, air strikes are being carried out as we speak, and commanders on the ground are busy planning the recapture of the valley," said Defence Ministry spokesman Gen. Dawlat Waziri, referring to the area around Mirzawalang. "The operation to retake the valley will happen soon, and the terrorists will pay for their crimes," he added. It is difficult to know the number of civilians affected, said Afghan government spokesman Sediq Sediqqi, adding, "President Ashraf Ghani has instructed everyone to do everything to safeguard those people." The bodies of 42 civilians, including children, were found shot and beheaded in three mass graves in Mirzawalang, Sar-e-Pul Province, officials said. A joint group of fighters reportedly entered the town, burned mosques, killed dozens of civilians and mutilated their bodies.